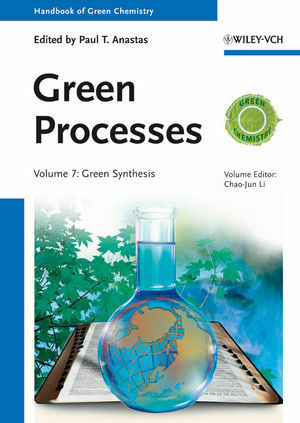 Edited by Professor CJ Li, one of the leading international experts in the fields of Green Chemistry and Green Synthesis, this volume presents such hot topics as synthesis without protecting groups, multi-component reactions, and synthesis in green solvents. The Handbook of Green Chemistry comprises of 9 volumes in total, split into 3 subject-specific sets. The three sets are available individually. All 9 volumes are available individually, too. The Handbook of Green Chemistry is also available as Online Edition. Listen to two podcasts in which Professor Paul Anastas and Journals Editor Paul Trevorrow discuss the origin and expansion of Green Chemistry and give an overview of The Handbook of Green Chemistry.